Three men – including one who was wearing a stab vest – were arrested after a knife attack in Sheffield city centre. 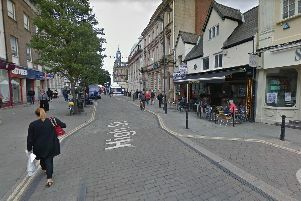 South Yorkshire Police said the three men were arrested over a stabbing in which a man was knifed in his leg last night. The man was taken to hospital for treatment but no other details on his condition have yet been released. One of the three men arrested over the attack was found to be wearing a stab vest and was carrying spice and cash. The men were arrested within an hour of the stabbing and remain in police custody this morning. In a statement, South Yorkshire Police said: “Once again, confirmation that low level drug use and supply can lead to more serious criminal activity with significant consequences.